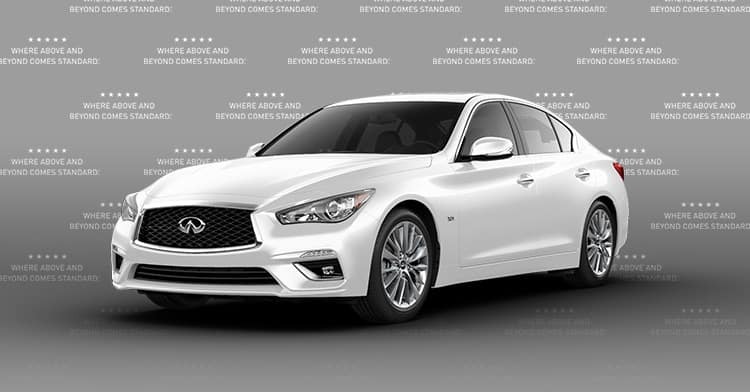 2019 INFINITI Q50 3.0t LUXE, 39 month lease available to well qualified lessees through INFINITI Financial Services. 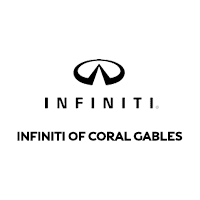 Cash due at signing ZERO capitalized cost reduction, excludes $700 acquisition fee, $995 dealer fee, first months payment, taxes, DMV and electronic registration fees, plus additional installed options. One or more vehicles available at this price. Residency restrictions may apply. Based on Tier 1 credit (740+ FICO) 10k miles allowed per year. VIN# JN1EV7AP6KM519726 . Lessee is responsible for maintenance and repairs. Retailer inventory varies. Photo is example only. Vehicle not exactly as shown. Subject to residency restrictions. See dealer for complete details. No security deposit required. Offer expires 4/30/2019. 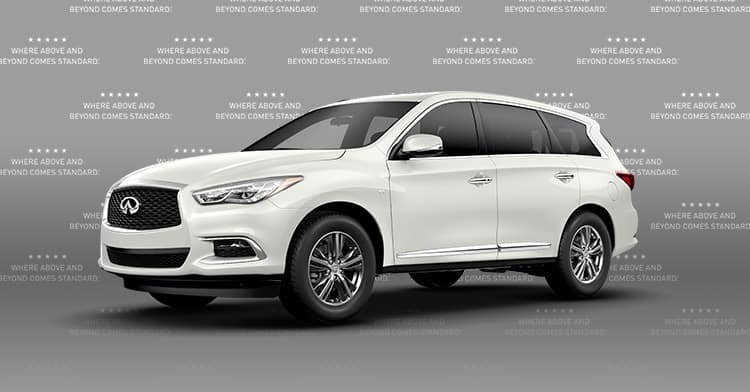 2019 INFINITI QX60 PURE, 39 month lease available to well qualified lessees through INFINITI Financial Services. Cash due at signing ZERO capitalized cost reduction, excludes $700 acquisition fee, $995 dealer fee, first months payment, taxes, DMV and electronic registration fees, plus additional installed options. One or more vehicles available at this price. Residency restrictions may apply. Based on Tier 1 credit (740+ FICO) 10k miles allowed per year. VIN# 5N1DL0MN9KC562524 . Lessee is responsible for maintenance and repairs. Retailer inventory varies. Photo is example only. Vehicle not exactly as shown. Subject to residency restrictions. See dealer for complete details. No security deposit required. Offer expires 4/30/2019. 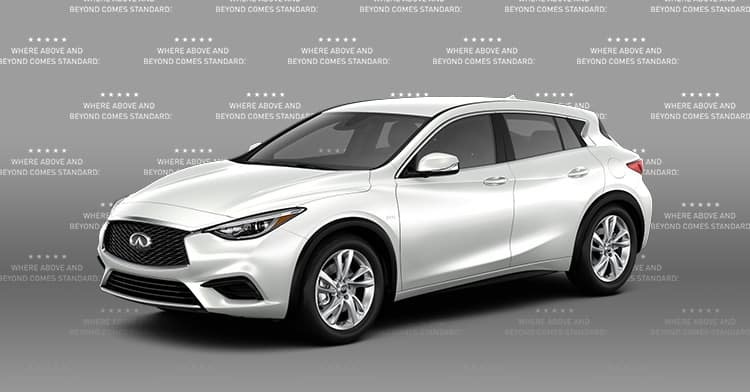 2019 INFINITI QX30 PURE, 39 month lease available to well qualified lessees through INFINITI Financial Services. Cash due at signing ZERO capitalized cost reduction, excludes $700 acquisition fee, $995 dealer fee, first months payment, taxes, DMV and electronic registration fees, plus additional installed options. One or more vehicles available at this price. Residency restrictions may apply. Based on Tier 1 credit (740+ FICO) 10k miles allowed per year. VIN# : SJKCH5CP6KA009095 . Lessee is responsible for maintenance and repairs. Retailer inventory varies. Photo is example only. Vehicle not exactly as shown. Subject to residency restrictions. See dealer for complete details. No security deposit required. Offer expires 4/30/2019. 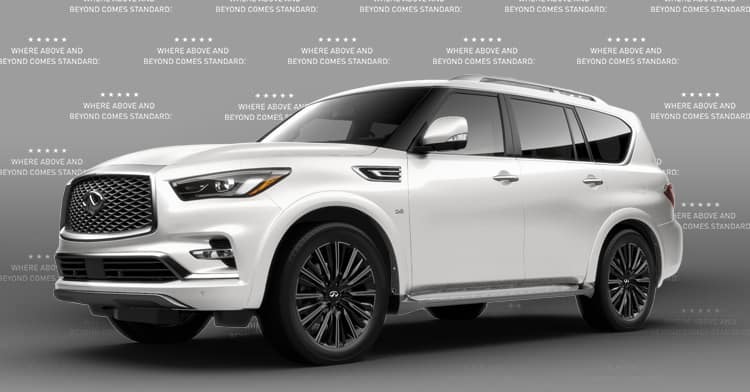 2019 INFINITI QX80 LUXE 2WD, 39 month lease available to well qualified lessees through INFINITI Financial Services. Cash due at signing ZERO capitalized cost reduction, excludes $700 acquisition fee, $995 dealer fee, first months payment, taxes, DMV and electronic registration fees, plus additional installed options. One or more vehicles available at this price. Residency restrictions may apply. Based on Tier 1 credit (740+ FICO) 10k miles allowed per year. VIN# JN8AZ2NF1K9686622. Lessee is responsible for maintenance and repairs. Retailer inventory varies. Photo is example only. Vehicle not exactly as shown. Subject to residency restrictions. See dealer for complete details. No security deposit required. Offer expires 4/30/2019. 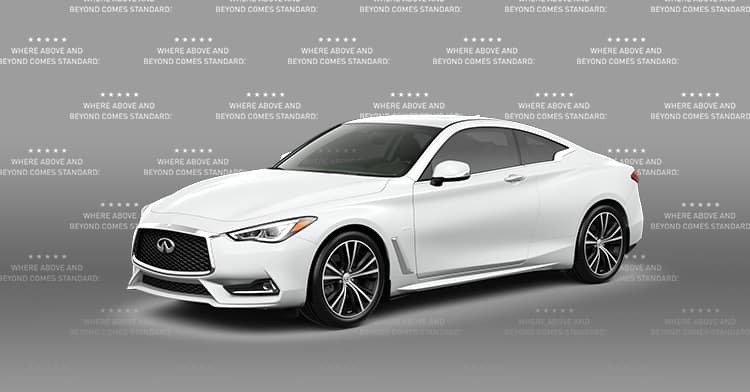 2019 INFINITI Q60 3.0t LUXE, 39 month lease available to well qualified lessees through INFINITI Financial Services. Cash due at signing ZERO capitalized cost reduction, excludes $700 acquisition fee, $995 dealer fee, first months payment, taxes, DMV and electronic registration fees, plus additional installed options. One or more vehicles available at this price. Residency restrictions may apply. Based on Tier 1 credit (740+ FICO) 10k miles allowed per year. VIN# JN1EV7EK3KM231029 . Lessee is responsible for maintenance and repairs. Retailer inventory varies. Photo is example only. Vehicle not exactly as shown. Subject to residency restrictions. See dealer for complete details. No security deposit required. Offer expires 4/30/2019. 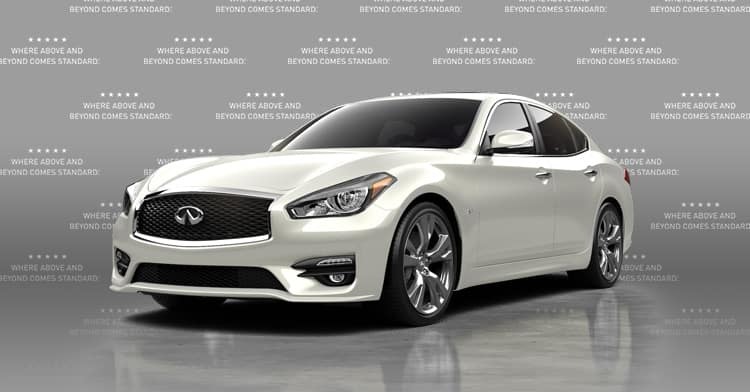 2019 INFINITI Q70 3.7 LUXE, 39 month lease available to well qualified lessees through INFINITI Financial Services. Cash due at signing ZERO capitalized cost reduction, excludes $700 acquisition fee, $995 dealer fee, first months payment, taxes, DMV and electronic registration fees, plus additional installed options. One or more vehicles available at this price. Residency restrictions may apply. Based on Tier 1 credit (740+ FICO) 10k miles allowed per year. VIN# JN1BY1AP2KM505393 . Lessee is responsible for maintenance and repairs. Retailer inventory varies. Photo is example only. Vehicle not exactly as shown. Subject to residency restrictions. See dealer for complete details. No security deposit required. Offer expires 4/30/2019.